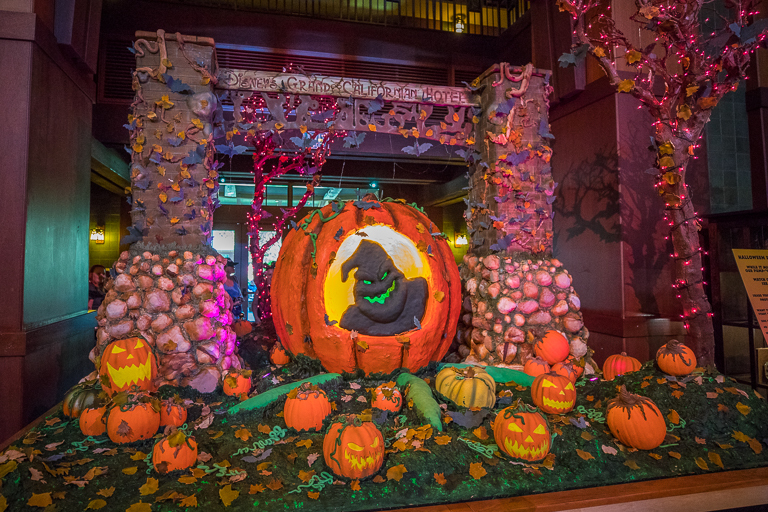 A couple weeks ago, while visiting Disney's Grand Californian Hotel, we discovered a giant cake Oogie Boogie pumpkin in the lobby. 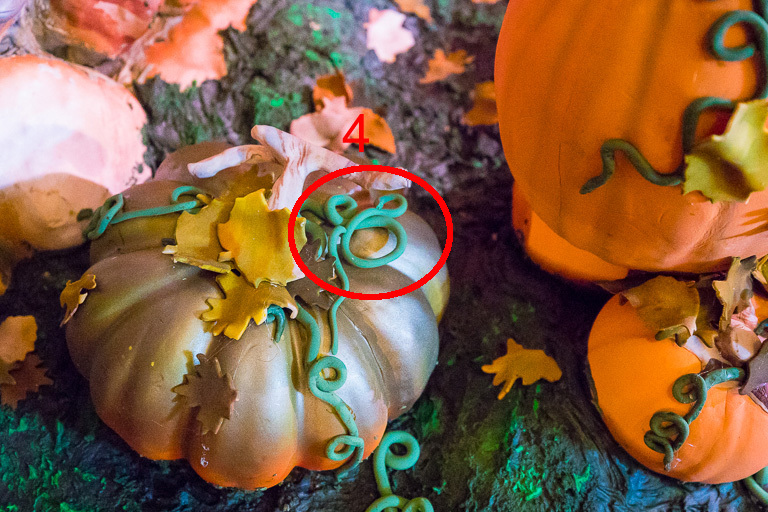 They claimed there were 13 Hidden Mickeys, but boy did we have a hard time finding them. Today we were back at Disneyland and determined to cross a few more off the list. Now that there's a few more, I'll start counting to see if we can make it all the way up to 13. For reference, here's what the whole thing looks like from the front. Starting on the front left. 3. 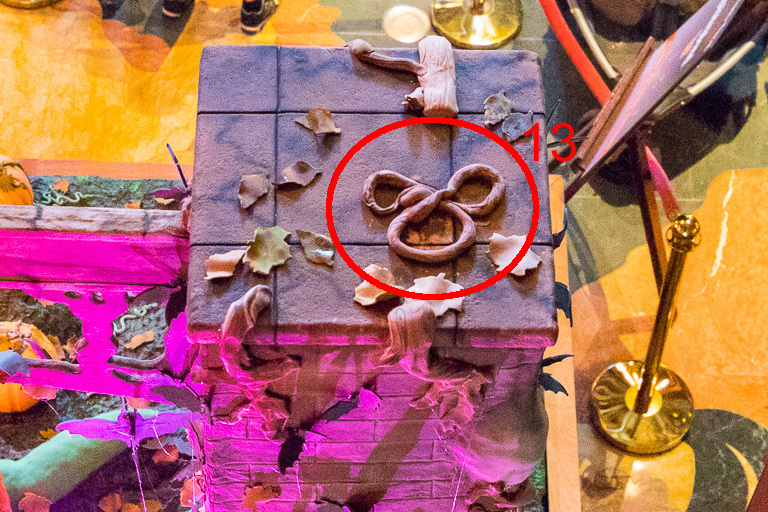 A classic Mickey in the stones making up the base of the pillars. 4. 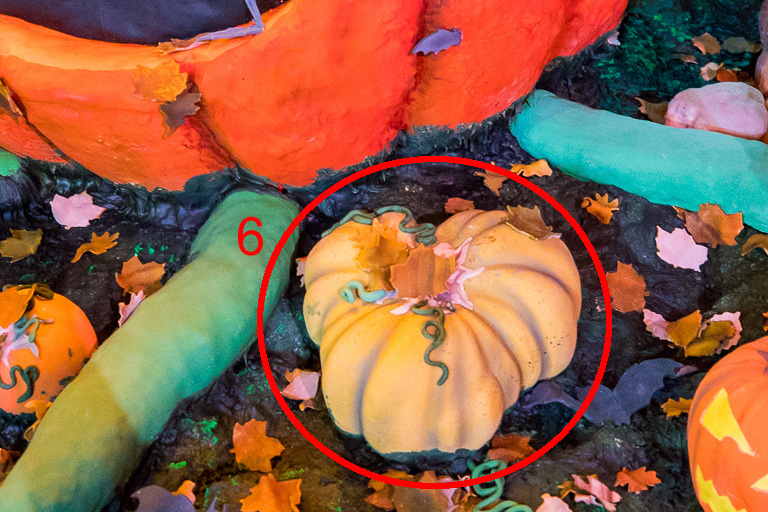 In the pumpkin vine at the base of that same left pillar. 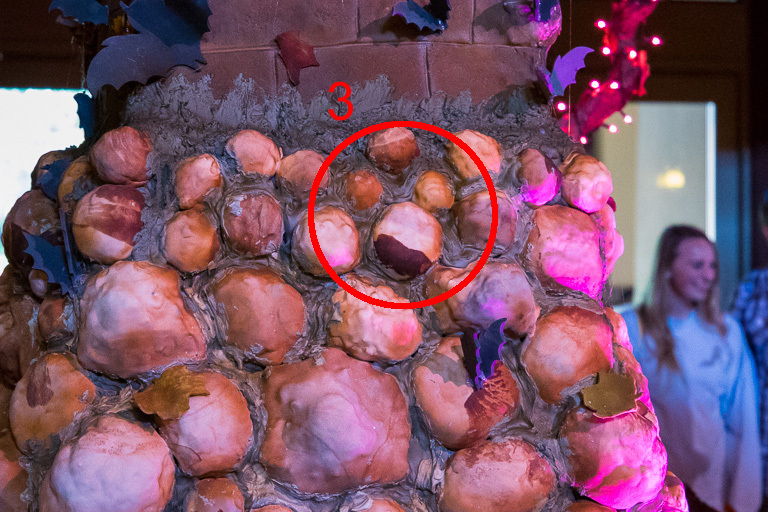 I had to verify with a cast member that these were intended to count as the Hidden Mickeys. 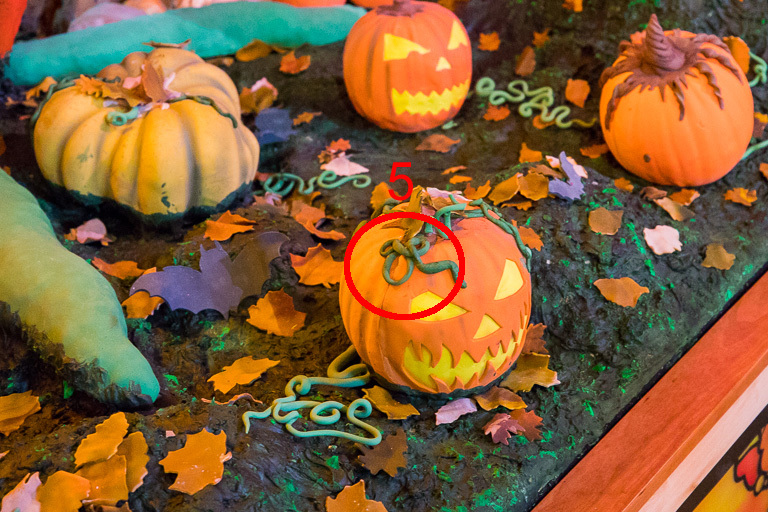 She confirmed that, yes, the tri-lobed gourds were indeed Mickeys. Now moving to the back side of the display. 12. 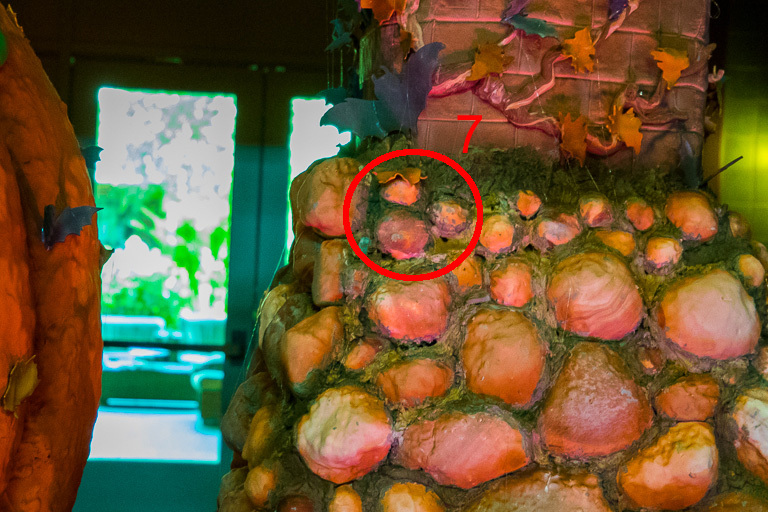 A Mickey shaped stone on the rear of the pillar. After looking around and around, I realized that this wasn't the only viewing area. 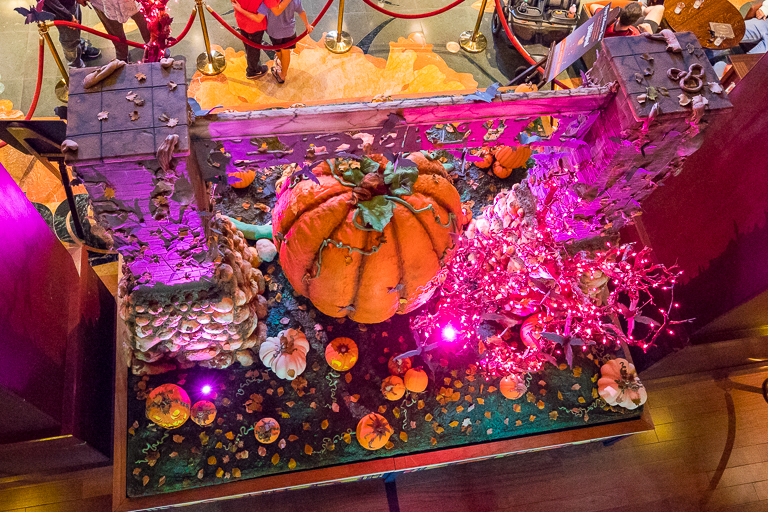 From the second floor, there's a walkway that goes right by the pumpkin cake. 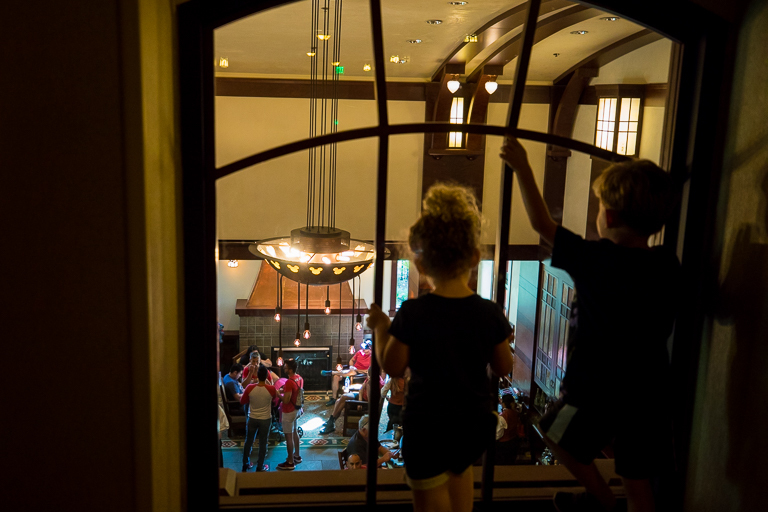 Everyone headed over to the staircase to climb up to the second level to get a new perspective. And from the second floor we certainly did gain a new perspective. 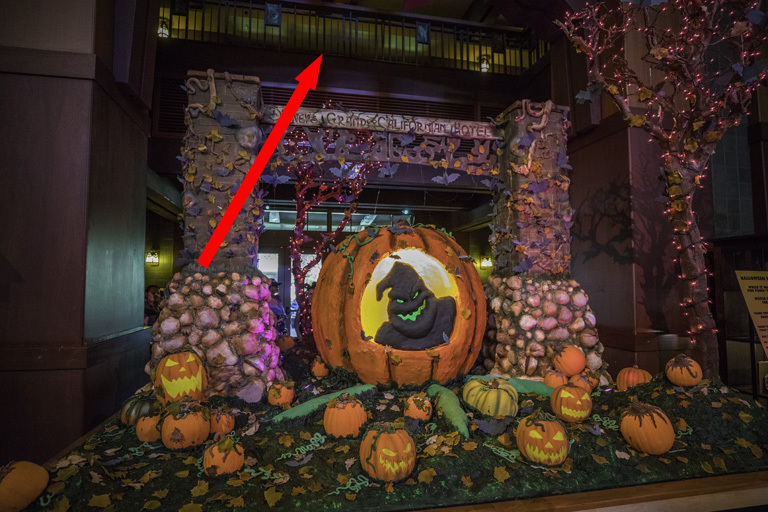 Right on top of the column and no way to see it from the ground. Success! 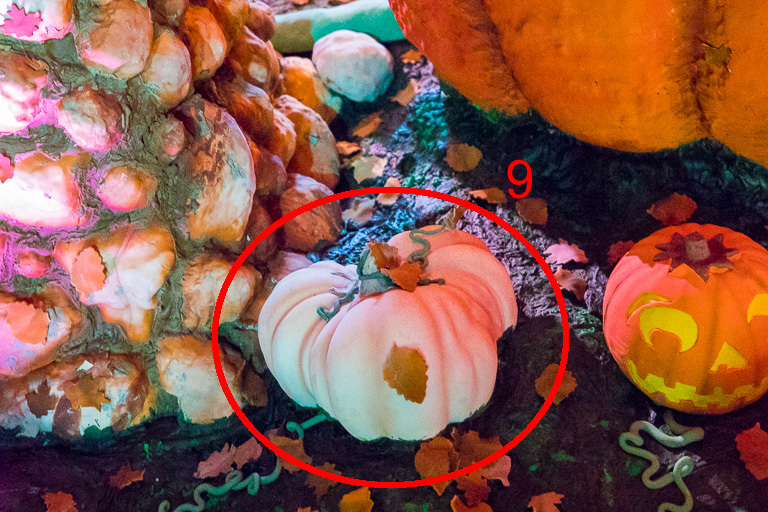 The kids were really excited to have found all 13 pumpkins. They wanted to know what we won! I told that that we just won as a family and that was good enough for them. They took off skipping and cheering down the hall. Then Ian let out another shout. 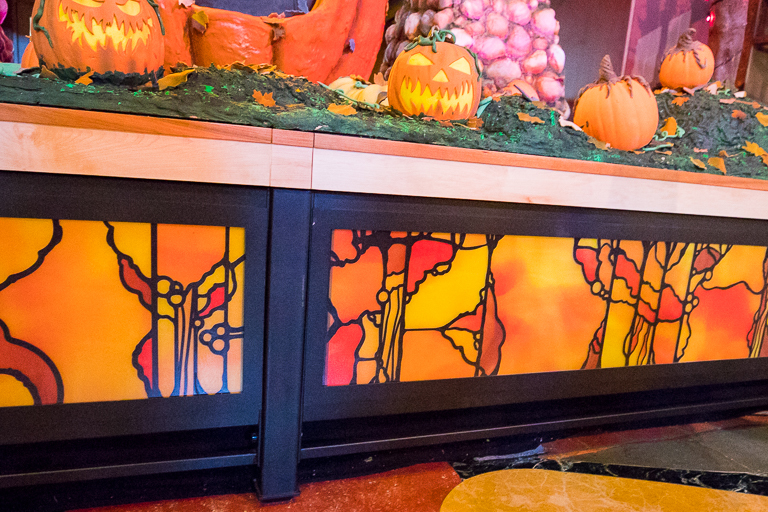 "I see more Hidden Mickeys!" In that light right there! 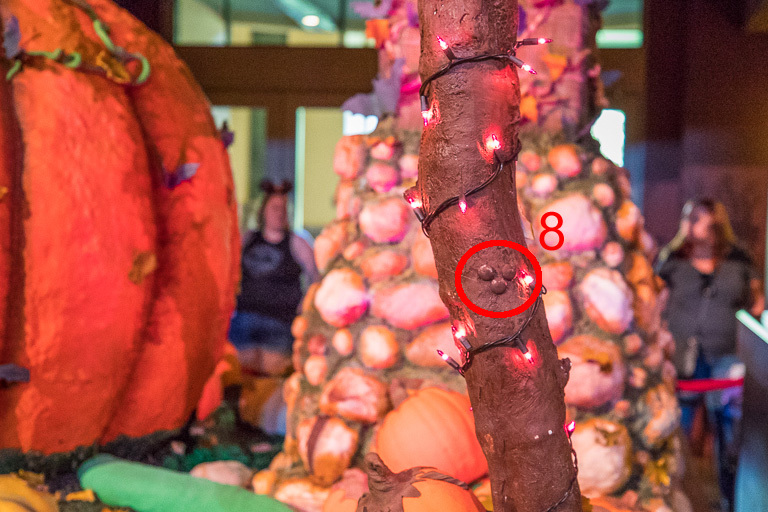 From the second floor window, overlooking the Hearthstone Lounge, there were lots of Mickeys in the light shade. Nice find Ian. I think he might be hooked. 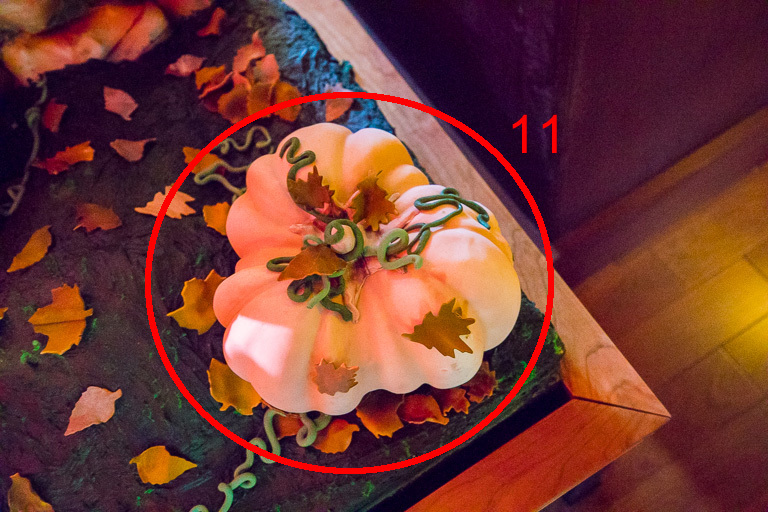 And just in case we weren't able to find all 13, Theresa pointed out that the pumpkin display was sitting on top of a decorated stand. 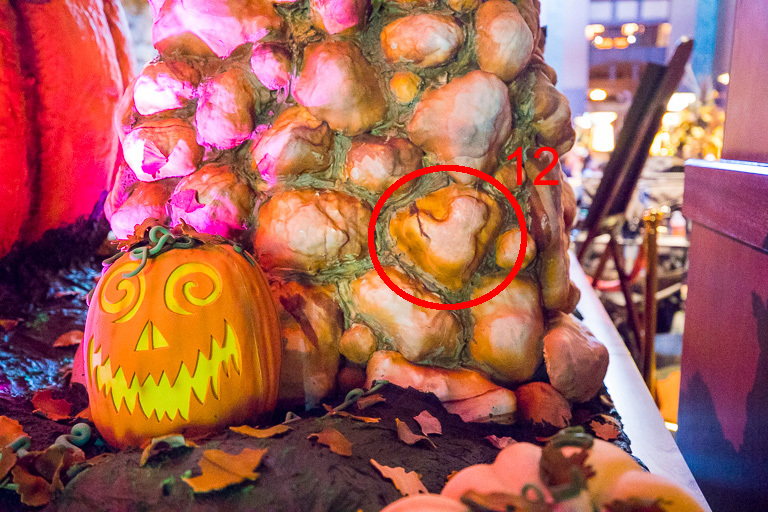 And in that stand were multiple hidden Mickeys. I'm glad we didn't have to resort to counting any of those though. Whew! They certainly didn't make it easy this year, but we did it. 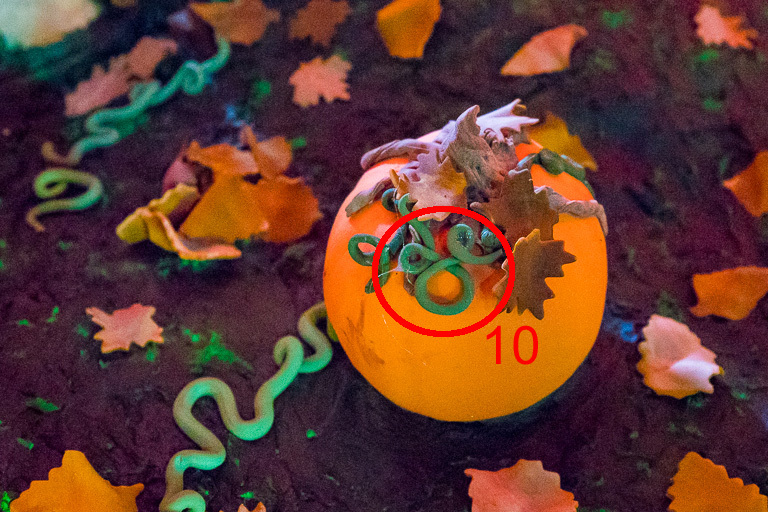 All 13 Hidden Mickeys accounted for. 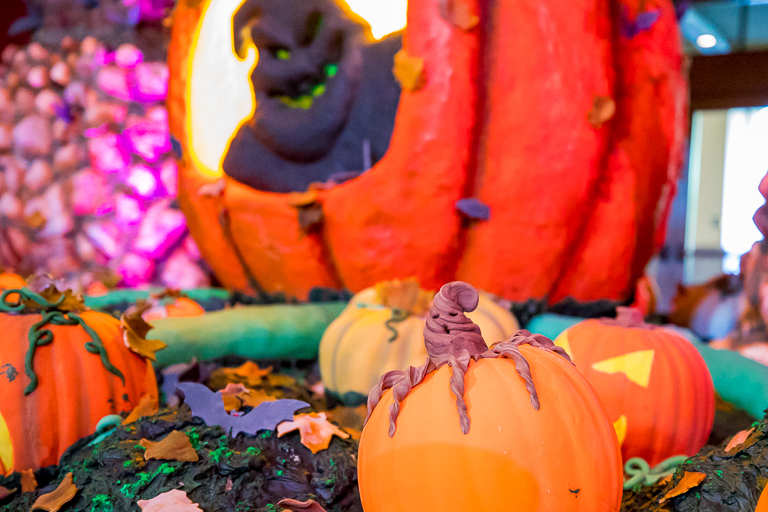 And I still love the tiny Oogie Boogie on top of one of the pumpkins. Ha! That last one is straight out of Indiana Jones and the Last Crusade. Great "mickey detective" eyes! Great family game and accomplishment. 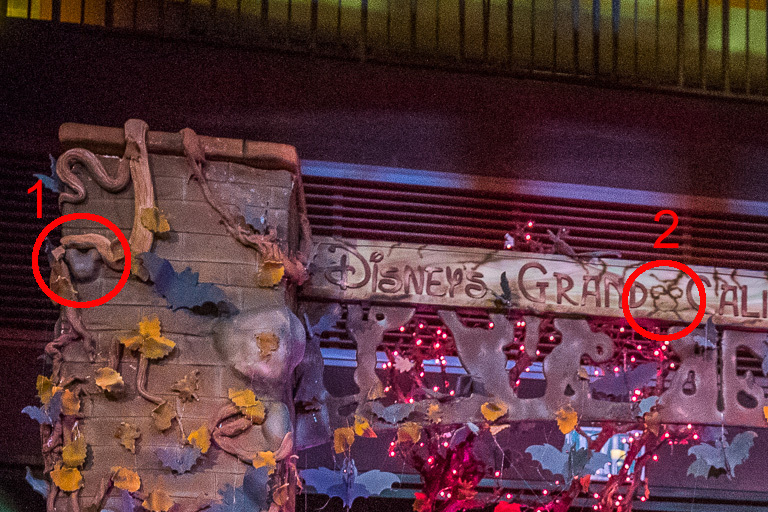 Thanks for sharing the hidden Mickeys.